WESTBROOK — Economic Development Director Daniel Stevenson hopes the recently launched downtown facade program is the boost downtown businesses need to improve the look of the city’s center. Stevenson, who joined the city staff in October, said he started the program not because of any particular downtown site or issue, but because he saw how effective similar programs were when he worked in Biddeford and at the state’s Department of Economic and Community Development. The program, which the council unanimously approved last week, will be funded through $80,000 from the Westbrook Economic Improvement Corporation. Stevenson said building or business owners will be able to apply for up to $15,000 matching grants. He said this week that several businesses have already expressed an interest in the program. “The response has been fantastic. We already have four interested building or business owners, and we are already starting to queue up some meetings with them,” Stevenson said May 14. 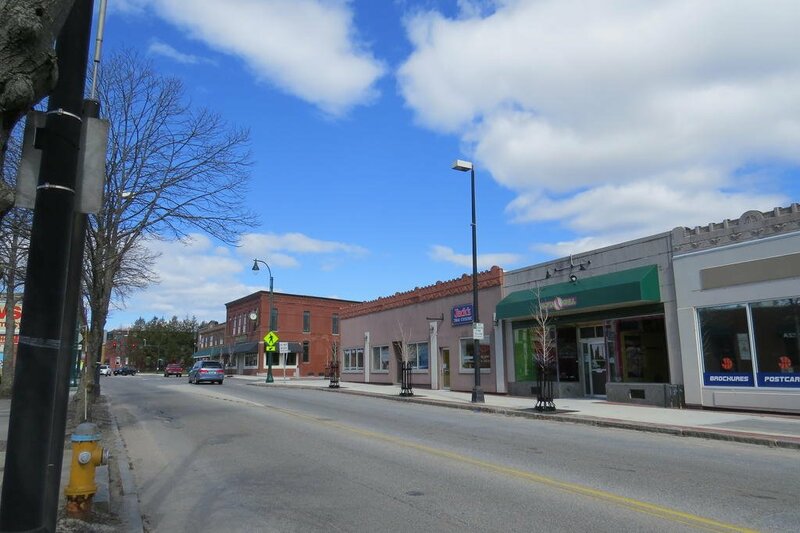 The facade improvement program in Westbrook will focus on the heart of downtown along Main Street (between William Clarke Drive and the river) from where it converges with William Clarke Drive to just before the Westbrook Post Office. “We want this to be a trial run and make an impact in a small area of downtown,” Stevenson said earlier this month at the council’s initial review of the program. Improvements to signage, awnings, storefronts, windows, doors and exterior lighting and facade cleaning and landscape work are some of the eligible projects. The funding cannot be used to purchase commercial property or equipment or for new building construction, routine maintenance or substantial interior work. Improvements must meet federal, state and local codes. Stevenson said the interesting thing about Westbrook’s downtown is many businesses along Main Street have facades that face both William Clarke Drive and Main Street and facades that face Main Street and the city’s River Walk, so it is not just the front of buildings that need to be taken into account. Funding will be paid directly to the contractor doing the improvement work upon completion and inspection and cannot be used toward city permit fees. Projects must be completed within a year of the award, but a request for an extension may be granted. “If a no-brainer comes along and it is really going to improve the look of Westbrook, I’d hate for us to run out of funds for that,” he said. At second reading Monday, May 7, Stevenson, a Westbrook native, said that language has since been removed. “We might get a lot of applications all at once, but the ones that are ready to go will get first priority,” Stevenson said. Grants will be awarded after review by the city’s economic development department and Discover Downtown Westbrook, as long as funding is available. Stevenson said he would like to see the results of the initial effort before thinking about where to secure long-term funding. At the council’s first review of the proposal, Councilor Gary Rairdon wondered if businesses can use the city’s revolving loan funding to come up with their match. Revolving funds can be used for facade improvements, but Stevenson said not toward the match. City Administrator Jerre Bryant said the revolving loan program was set up in the late 1990s to help spur small business development and is intended for “investments in existing businesses, facility expansion or new equipment. It does not provide funding for start-up capital. Stevenson also want to look into ways to redesign Westbrook Commons, also known as Blue Note Park. A number of business, including the recently opened Quill Books and Beverage, overlook the space, which Stevenson said has the potential to be a really nice place for an outdoor cafe/gathering area. The city council has approved a program that would make funding available to building and business owners looking to improve the appearance of their downtown buildings.